Mumbai, Apr 15: Maharashtra Finance minister Sudhir Mungantiwar has dared the Congress to implement its minimum income guarantee scheme called Nyay in states by ruled by it. In an interview to PTI, he said the Congress itself knew its ambitious poverty-alleviation scheme was not implementable. The Congress, in its manifesto, has said that 20 per cent poorest families in the country will get Rs 72,000 annually as part of its Nyunatam Aay Yojana (Nyay). When asked about the Nyay scheme, the minister said, similarly, in 2004, the Maharashtra Congress government under Sushil Kumar Shinde had promised free electricity, only to raise tariff by Re 1 per unit in six months. 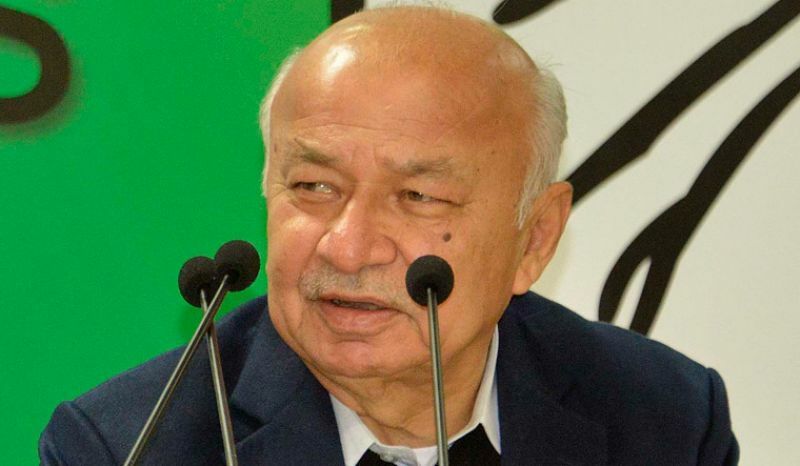 Shinde also promised food grains at Re 1 per kg, but the then Congress president later called it a "printing mistake", he said. Similarly, a Congress promise during the recent Rajasthan Assembly elections of allowance for unemployed people is yet to to be fulfilled. "There can be sunrise at midnight but Congress cannot have its own prime minister. Yet, if they are so clever with economics and if they have the courage, they should start the (Nyay) scheme with states like Madhya Pradesh, Rajasthan and set an example. If it removes unemployment there (Congress-ruled states), people might believe them," he said. "The Congress knows this scheme is not implementable. In 2013, Dr Manmohan Singh had said if he is unable to reduce subsidies amounting to Rs 1,39,000 crore, the country will deviate from the right path and there will be financial chaos. A dialogue of his then had become famous. He had asked if money grew on trees," Mungantiwar said. He further said the Congress was not clarifying where the Rs 4 lakh crore needed for the scheme will be raised. "The Congress has a history of not fulfilling promises. In 1971, they spoke of garibi hatao (removing poverty), but poverty remained. The Congress has an anti-democratic heart," the minister alleged. When asked if issues like the construction of Ram temple, the Pulwama attack and air strike inside Pakistan were a (BJP) ploy to deviate from "real issues" as the Opposition parties claim, the minister said on the contrary, the BJP and other NDA constituents have been working hard on a development agenda since coming to power in 2014. Mungantiwar said PM Modi gives equal importance to politics of development and quality of living as well as the country's pride and security. Mungantiwar said the issues raised by the Congress president (Rahul Gandhi) now were first raised by the party in 1952, and sought to know why they were not solved in all these years. "Except Atal Bihari Vajpayee government, all those who have ruled the country belonged to Congress gotra (lineage). It was under PM Modi that a government with absolute majority was formed without the Congress gotra. 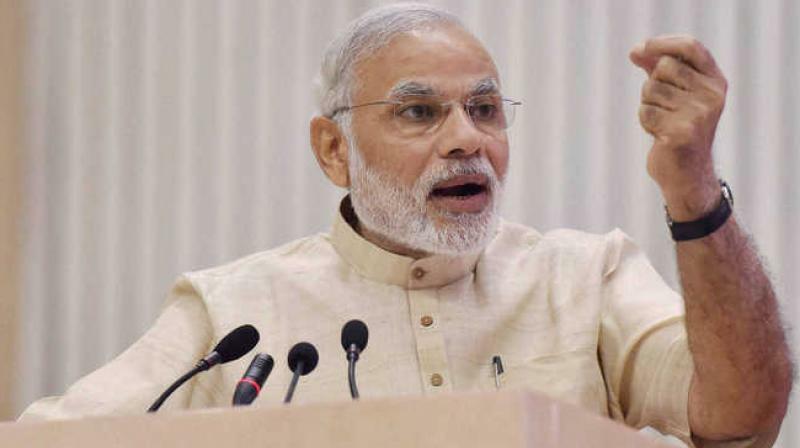 Modiji uses his authority only for the service of the common man," Mungantiwar said. Accusing the Congress of being "two-faced", the senior BJP leader said it "troubled" Babasaheb Ambedkar the most but now asks for votes in the name of the Dalit icon. "Babasaheb had written a book asking what the Congress had done for the untouchables. Babasaheb, while drafting the Constitution, had spoken for a Uniform Civil Code, and had opposed Article 370," he said. "Dr Ambedkar was not given a Bharat Ratna for 34 years after his death, and today they (Congress) ask for votes in his name," he said.